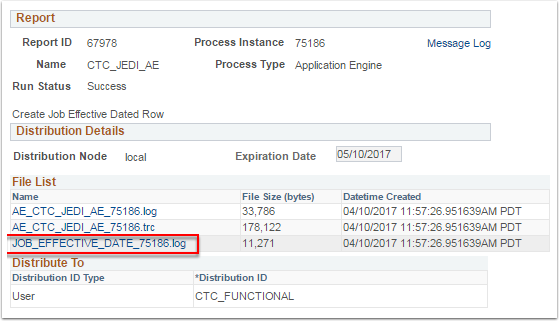 PURPOSE: Use this document as a reference for creating an new effective date row in Job Data for a single group of employees. WARNING: The system WILL NOT create/insert a new row for an employee with an effective dated row that is greater than the date entered in step #6; or if the employee has an Expected Job End Date less than the effective date in step #6. Should an employee have a future dated row greater than the effective date entered in step #6; a manual entry will need to be created Job Data. Additionally, if an employee has an Expected Job End Date that is less than the date entered in step #6; a manual entry will need to be created in Job Data. Be sure to check your report results for validation. This process WILL create an effective dated sequence for multiple actions with the same effective date. WARNING: The system WILL NOT generate a new effective dated row for the Return from Workbreak Action IF the Short Work Break Action is NOT the most recent previous action of record. Click Run, to activate the process request. Click Refresh until the Run Status changes to Success and the Distribution Status changes to Posted. Click the Go back to Create New Job Eff. Dated Row hyperlink. Click the CTC_JEDI_AE report link. 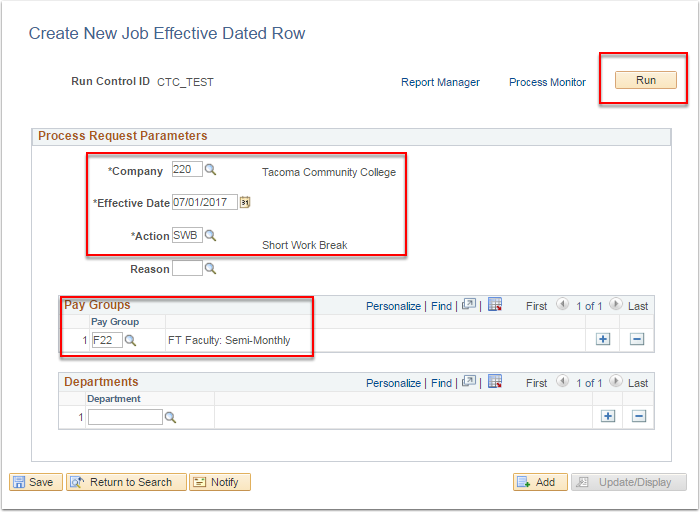 Remember to look for those employees with a future dated row greater than the date selected for this process. Those employees will need to be updated manually.